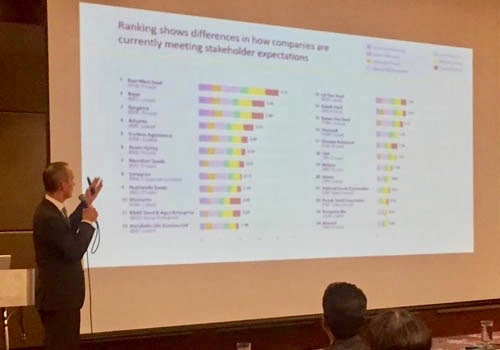 Manila, 15 November 2018 – Before an audience of seed companies from the region, Ido Verhagen, executive director at the Access to Seeds Foundation, presented the findings of the first Access to Seeds Index for South and Southeast Asia. The study explored how the seed industry is performing and which seed company takes the lead in supporting smallholder farmer productivity. 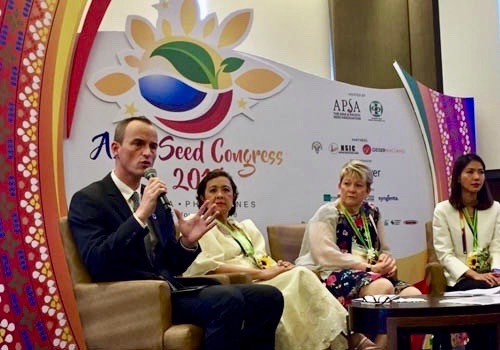 Helping these farmers to access stress-tolerant seeds and grow more nutritious food is key to achieving food and nutrition security, according Verhagen. 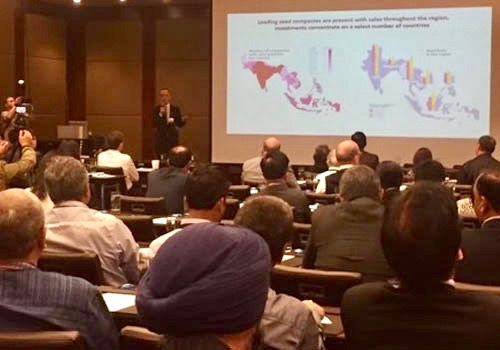 A large part of the answer to the question of how to raise agricultural productivity will come from plant breeding, but the entire population will only benefit when the results of smart breeding reach smallholder farmers, he said. 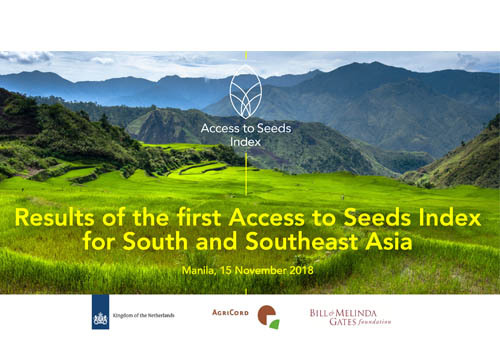 The Access to Seeds index, initiated by the Amsterdam-based Access to Seeds Foundation, evaluated the efforts of 24 leading seed companies in South and Southeast Asia to support growth in the productivity of smallholder farmers — one of the targets of the U.N. Sustainable Development Goals. The standout companies tailor their models to the needs of farmers by offering custom seed package sizes, training, and other learning opportunities attached to new seed varieties, the report found. 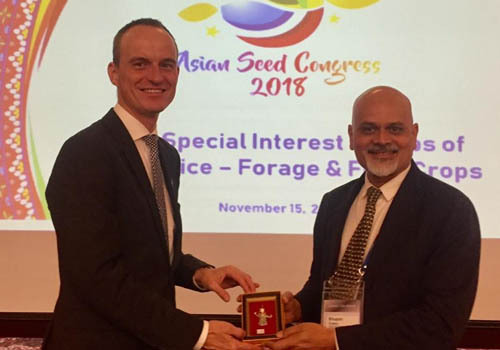 Thailand-based East-West Seed topped the list, mainly because it was set up with a specific mission to support smallholder productivity, according to the report: “It shows to the industry that working for smallholders is not charity but can create a good business for smallholders as well as for a company,” Verhagen said. Bhupen Dubey, CEO of Advanta, ranked number 4 in the list, complemented Verhagen and his team on the work. “The Access to Seeds Index made us think about our work for smallholders. We actually found that we are doing much more than we realised. But also that much more can be done. It is an excellent tool to help the industry take its part in creating a more sustainable food system”.